Last Friday I reviewed a picture book for children about homelessness, Lily and the Paper Man, by Rebecca Upjohn. Today I’m following up with a brief review of a hands-on workbook for kids and how they can be part of the solution. 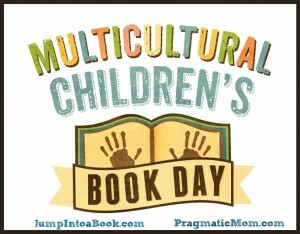 Book Overview: Kids explore what others in the world (including young people) have done and are doing to address the issues, find out what their community needs, and develop a service project. The workbook includes facts, quotations, real-life examples, write-on pages, resources, a note to adults—and a lot of inspiration to get out there and make a difference in the world. Includes exclusive interviews with author and activist Francis Moor Lappé, and Lindsey Lee Johnson, author of Soul Moon Soup, the story of a girl living on the streets with her mother. Why I like this guide: Children are caring and compassionate and want to help when they see a need. Cathryn Berger Kaye, M.A., has carefully designed this exceptional guide to show four major stages children must learn to be of service: Preparation, Action, Reflection and Demonstration. Children first learn all they can about hunger and homelessness in the Preparation stage. Once they prepare themselves they are encouraged to think about whether their Action is direct, indirect, advocacy or research. The third stage involves Reflection on what they have learned to decide what they want to do. The final stage, kids Demonstrate what they want to accomplish and what unique skills they have to give to the project. This is an excellent workbook for parents, teachers and youth group leaders to use at home, in the classroom, at church and in youth service programs. 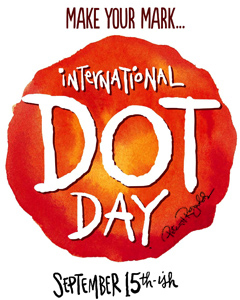 It will help children focus on both local and global issues. We are living during a time when the face of hunger and homelessness is rapidly changing. Children may see a family member or a neighbor suddenly hungry and homeless. Kaye’s guide empowers children to look at tough issues and take action. Other Resources: Free Spirit Publishing has a How to Take Action! series by Cathryn Berger Kaye. 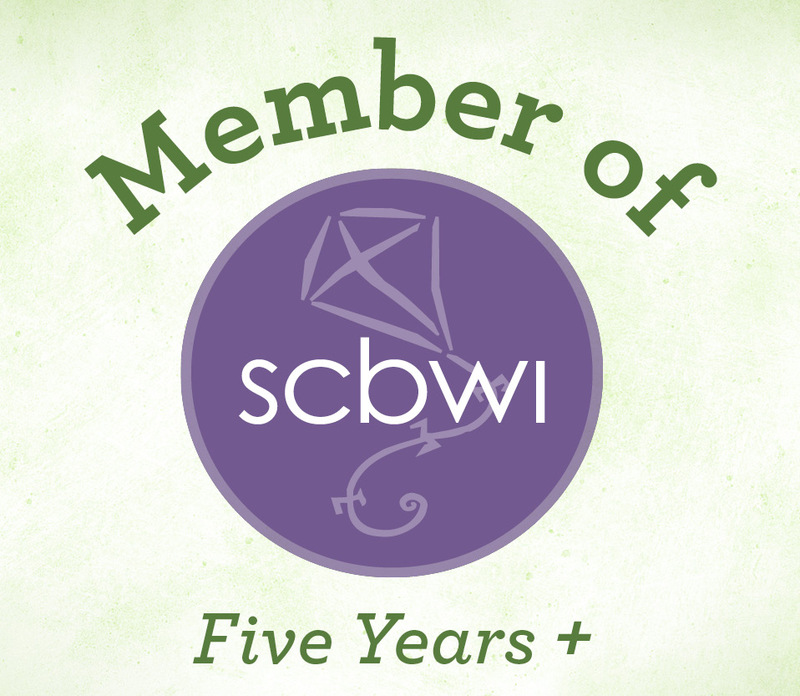 There are guides for climate change and global warming, protecting and caring for animals, service learning, and kids helping kids to read and succeed. There is a teen guide for saving our oceans and waterways. Visit the Free Spirit Publishing website. Opening: “Shall we take the bus home today?” Lily’s mother asks. Lily peers from under her umbrella. “Let’s walk. I like the rain.” She takes her mother’s hand to cross the street. Her mother goes around the puddles. Lily skips through them. Synopsis: During her walk home, Lily backs into a scraggly looking man who is selling newspapers. His clothing is ragged and he is soaked from the rain. Lily is frightened. Her mother gives the man a dollar and thanks him for the paper. Lily and her mother have many encounters with the man outside a favorite shop. But as the seasons change, Lily begins to see him differently. Winter arrives and she sees that his coat is thin and has holes. The soles on his shoes reveal bare toes peeking through the ends. He has no gloves or hat and his ears are red from the cold. 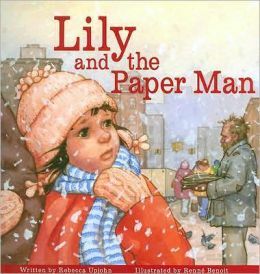 Lily is so concerned about the paper man, that the images of him on the street makes her toss and turn in bed — until she comes up with an idea. Why I like this book: There are very few children’s books about the homeless. Rebecca Upjohn tells a compelling and heartwarming story about how a little girl makes a difference for one man. 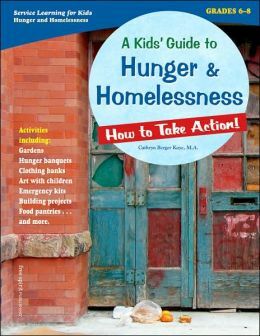 Children by nature are compassionate and want to help, and this is a perfect book to talk about the many kinds of homelessness. There is a lovely marriage between art and text in this beautiful story. Renée Benoit’s illustrations are vivid and evoke a lot of compassion from the reader. Resources: This is a good discussion book with kids. What would you do if you saw some one in great need? There are many activities kid can do to help the homeless: donate to local food pantries, donate clothing and toiletry items, books, clean toys to shelters. 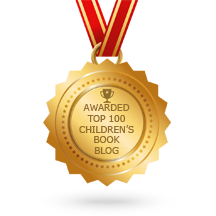 Visit Rebecca Upjohn’s website where she has a teacher page of suggested activities and resources to use with children in the classroom. 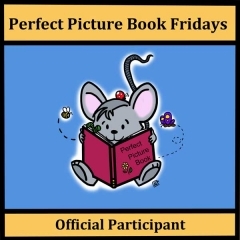 Perfect Picture Book Friday will go on vacation after today’s post. It will resume in September. 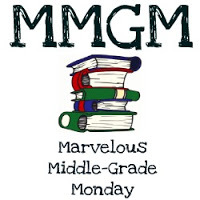 I will cut back on my posts this summer, but will continue to post some picture books, middle grade and young adult reviews. 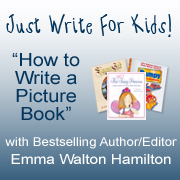 To see a complete listing of all the Perfect Picture Books with resources, please visit author Susanna Leonard Hill’s Perfect Picture Books.